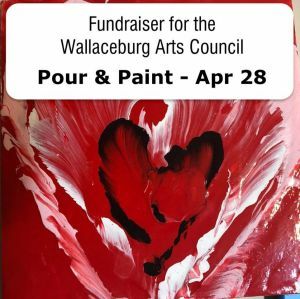 Please join Julie's Art for an afternoon of creativity, snacks and beverages all to raise funds for our Wallaceburg Arts Council. You will take home an amazing piece of abstract art! All ages welcome! 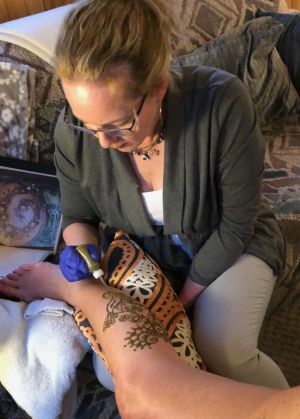 Adorn your body like the temple it is, with Henna by Julie Cogghe! Check out more pics on her Facebook page. Choose your provider and which day you would like to be scheduled. Pick the time that works best for you. Add any you info think we might need to know. Our automated booking system will do the rest. **Watch your email for a confirmation of your request. (If you do not receive confirmation, please call our Front Desk at 519-627-9355 and we'll be happy to help you out.) We are looking forward to seeing you soon.